Is Renting or Buying Better? Many people wonder whether it is better to rent or to buy. Unfortunately the answer is not always straightforward; there are several factors to consider. 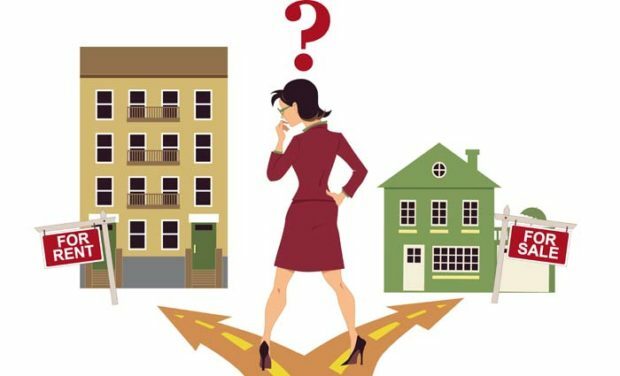 Firstly it is important to understand that owning a property is not the right choice for everyone, roughly 65% of Australians currently own their own homes. Of course if you’re looking to buy then it is worth taking a look, at what a Sydney auctioneer has to offer. This can open up unexpected possibilities and even help you to generate a good rate of return. Buying can give you financially security later in life. Although this takes time, the average Australian can be 65 or older before they repay their mortgage. Of course it’s not just about not needing to pay rent when you’re older. Purchasing a property today can give you enough equity to allow you to live a comfortable retirement. You’ll probably need to release equity or sell your house and downsize in order to achieve this goal but it will make your retirement years more comfortable. Owning your own home also gives you the opportunity to decorate and make changes to the property; this helps it to feel like home and to suit your ever-changing needs. These changes can cost a significant amount of money and take years to complete but they will add value to your home as well as making it more comfortable to live in. Renting is a great way of retaining your freedom. You can be packed up and moved on in as little as a month. The exact amount of time will depend on your rental contract. This gives you the freedom to move to where the jobs are or that special someone. Of course there are expenses involved in moving; you’ll need to put down a deposit for your new rental home and you may not get all the funds back from your old one. You also need to allow for the time and cost of actually moving. You may be surprised to learn that renting is often cheaper in the short term than buying; of course you don’t own anything at the end of your rental contract. In addition you don’t need to worry about repair bills. If anything goes wrong it is the responsibility of the landlord to sort it out. But, the biggest issue with renting is often that you cannot make any changes to the property. In many cases you can’t even paint it without the landlord’s permission. This can make it much more difficult for the house to seem like a home. You may also be subject to periodic inspections by the landlord. They are entitled to verify the property is being looked after but this can feel very invasive. Finally you’ll never stop paying rent, this won’t help you to retire comfortable. For these reasons renting I a good option when you need your freedom but if you’re happy to settle down then buying may be the better option. The post Is Renting or Buying Better? appeared first on Style Motivation.